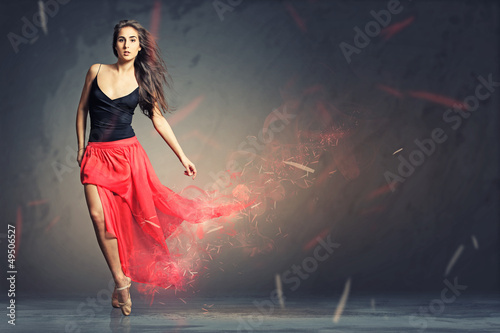 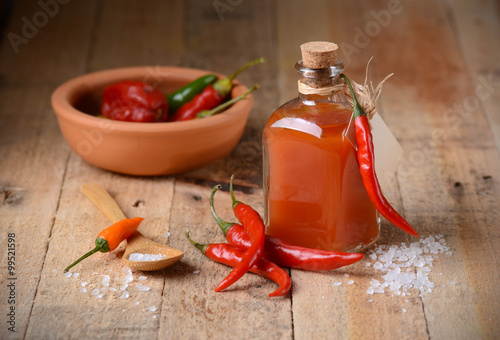 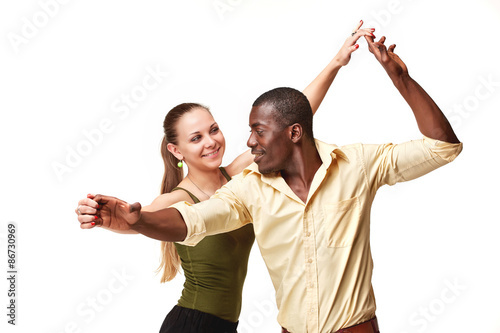 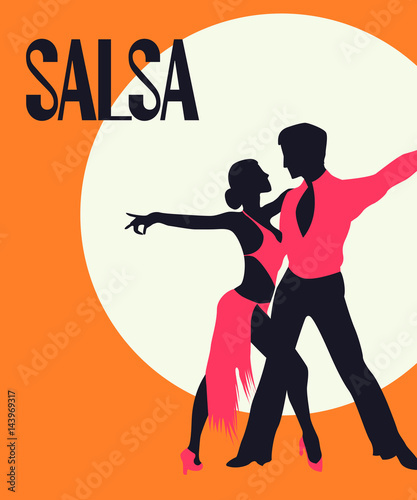 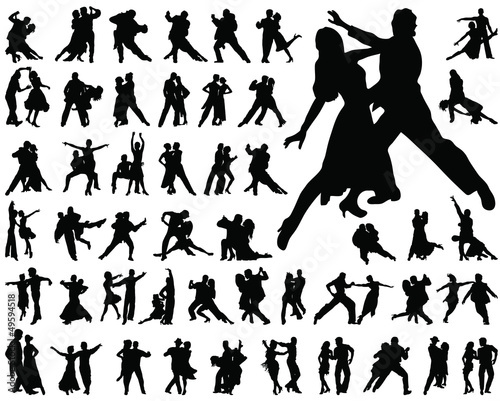 Salsa dancers. 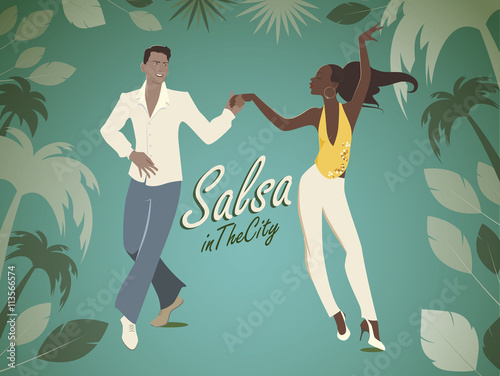 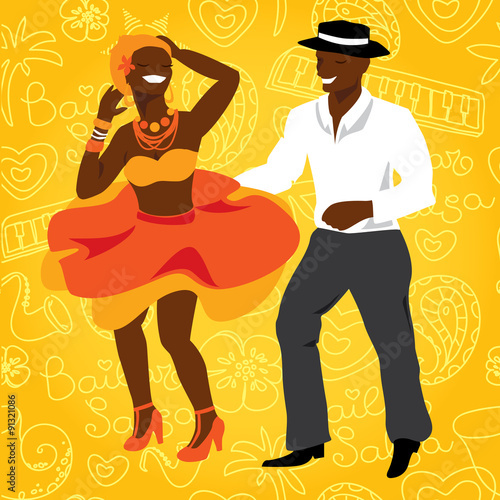 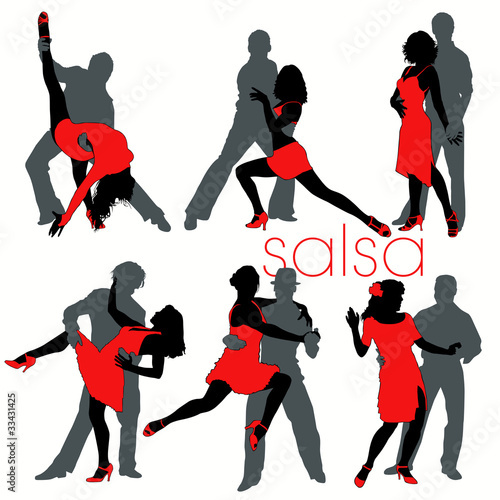 Cuban couple dance salsa. 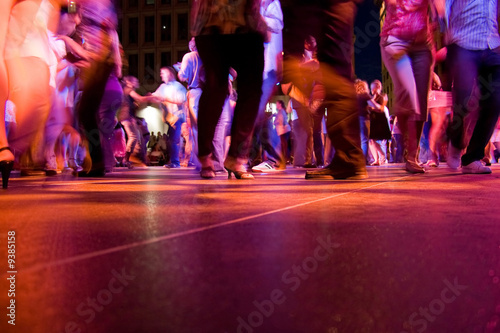 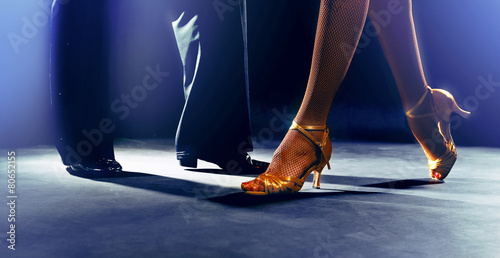 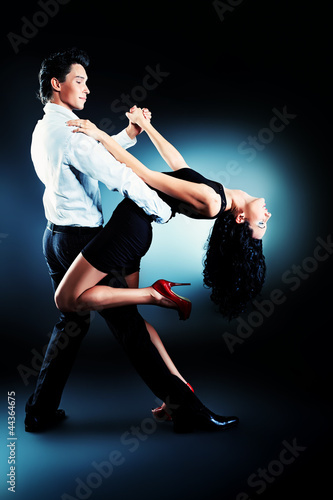 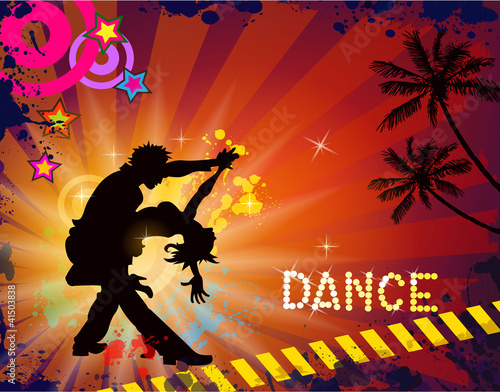 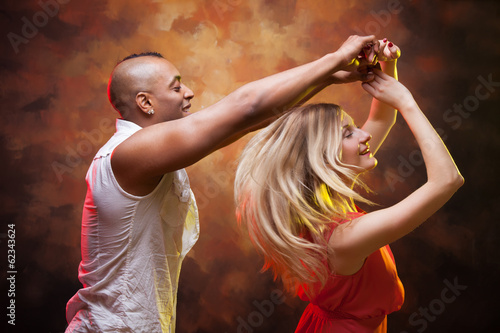 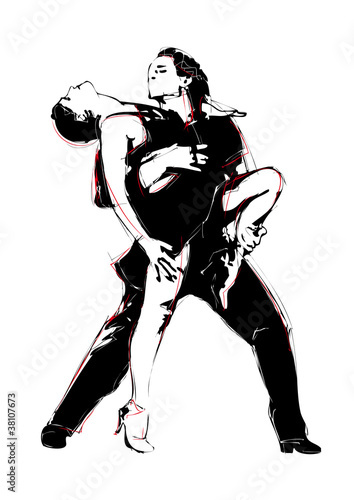 Couple dancing on a street at night. 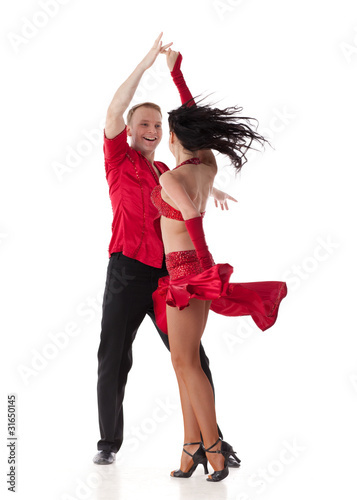 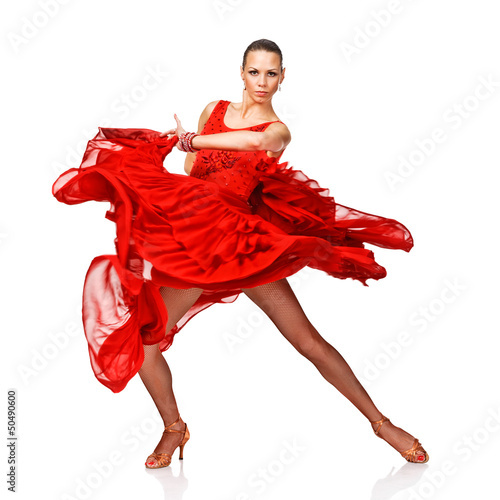 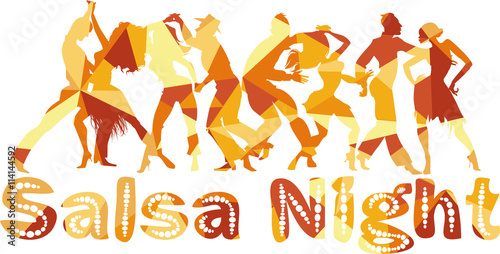 Suggestive musical themed latino dance. 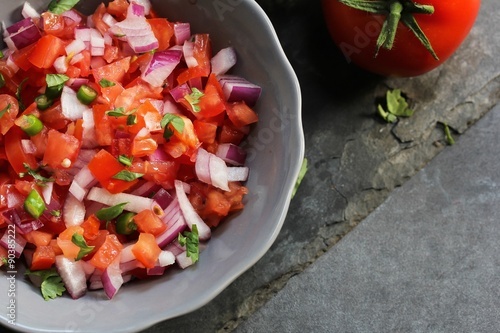 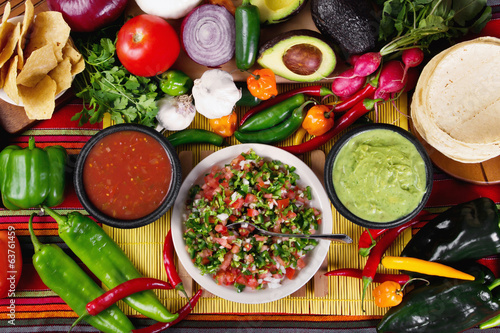 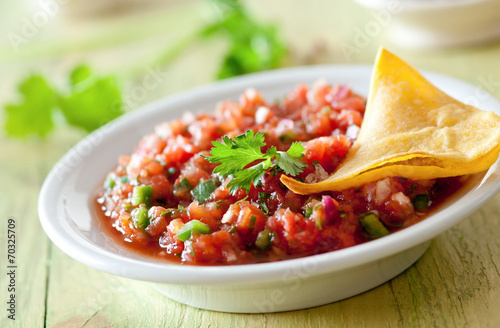 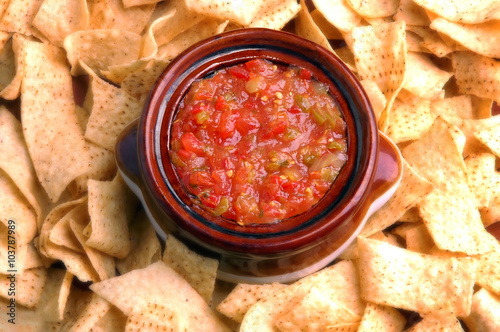 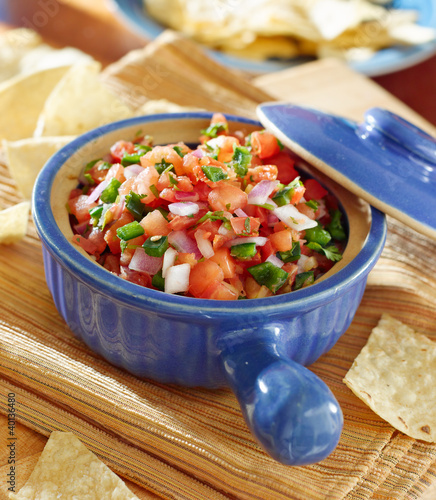 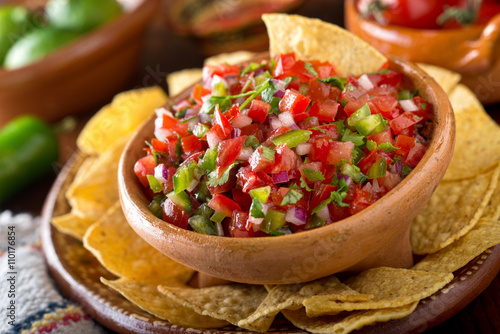 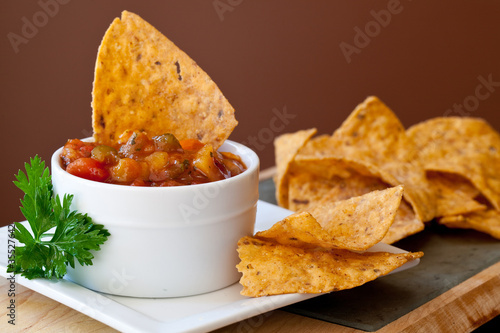 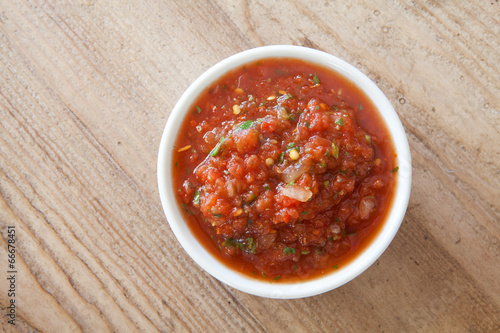 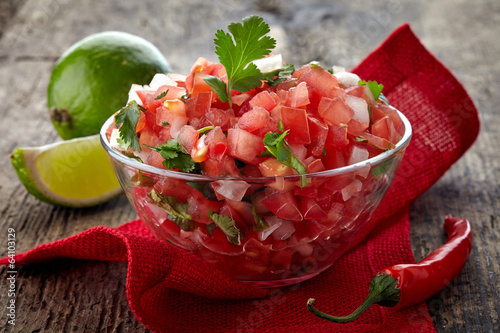 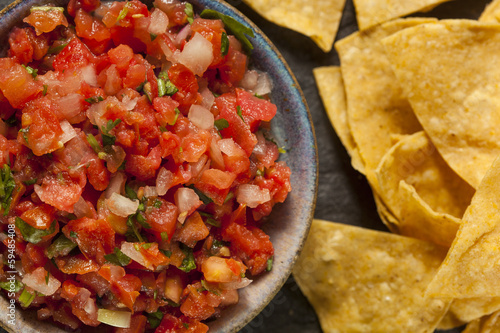 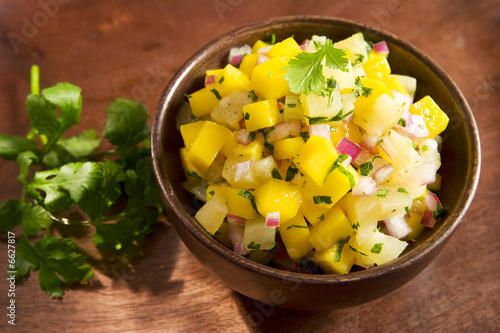 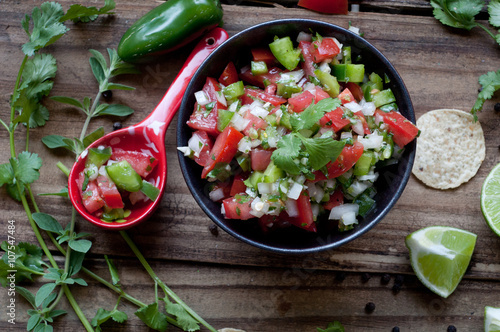 bowl of salsa with tortilla chips.